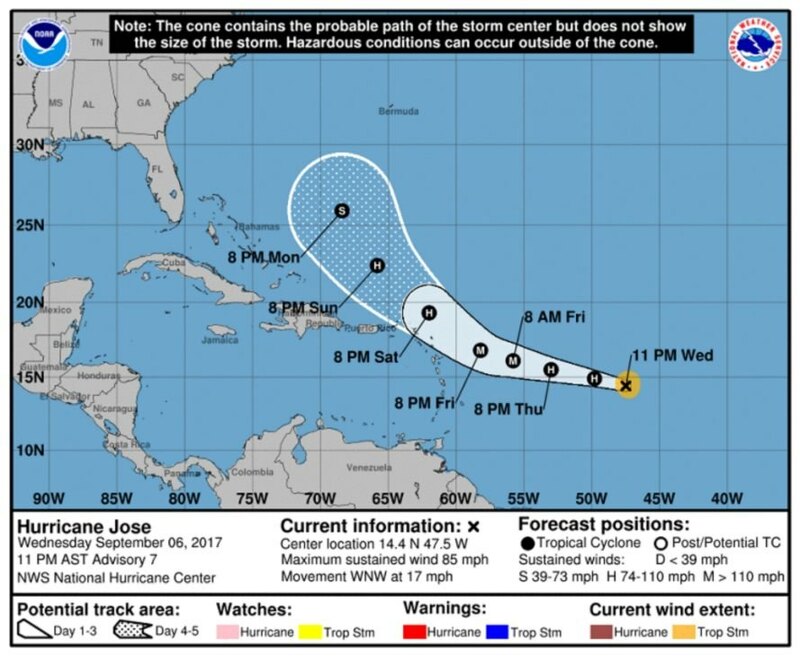 Hot on the heels of Hurricanes Harvey and Irma is yet another natural disaster, Hurricane Jose. The “extremely dangerous” Category 4 hurricane is located east of the Leeward Islands and is forecasted to transit west-northwest into the Atlantic Ocean in the coming days. This is the first time in history two hurricanes with 150-plus mph winds have been recorded at the same time. According to the National Hurricane Center, Jose has sustained winds near 150 mph. As a result, Antigua, Barbuda and Anguilla, St. Martin, and St. Barthelemy — islands that were just battered by Hurricane Irma — are now on a Hurricane Watch as of Friday at 11 a.m. When Irma passed over Barbuda, a tiny Caribbean island of 1,800 residents, 95 percent of the buildings were destroyed, said Prime Minister Gaston Browne. Cuba and south Florida are now preparing for the destruction Irma is expected to unleash. 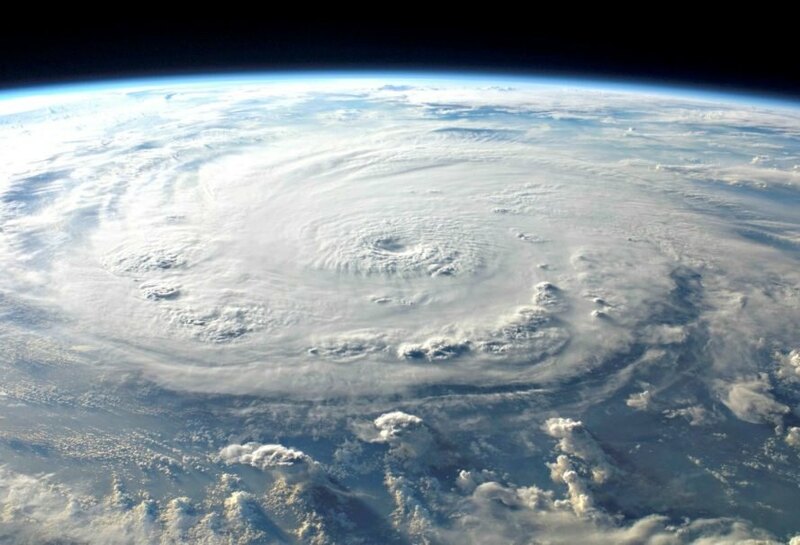 This is the first time on record two hurricanes with 150-plus mph winds have been recorded at the same time, said Colorado State University meteorologist Philip Klotzbach. And, it turns out humans deserve most of the blame. For years, scientists have warned that unsustainable habits would exacerbate climate change, resulting in melting glaciers, rising sea levels, and worsening natural disasters due to increased precipitation and a few other factors. The only silver lining from this situation might be that the events inspire more people to invest in sustainable initiatives. This is the first time in history two hurricanes with 150-plus mph winds have been recorded at the same time.